I read this article and wanted to share it with you: The Difference between Reluctant and Hungry Eaters (and Learners) https://blog.sonlight.com/the-difference-between-reluctant-and-hungry-eaters-and-learners.html. Have you ever tried to feed a toddler who doesn't want to eat? You don't get very far. It's a lot of work, and most of the food ends up on the floor. But if that same toddler is hungry? That's a different story. She will happily take the food you give and feed herself. Though she'll still get some in her hair, most of it hits the mark. I think the same is true of learning. 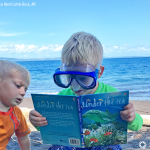 When kids are uninterested, any type of schoolwork is a chore. Most of what they learn doesn't stick. Yet the common approach to most education is to feed information to kids who don't want it. Most schools, textbooks and curricula are primarily designed to deliver as much information as possible over a limited, prescribed time frame. Then standardized tests check how much the students retain. If students score well, their education is deemed successful. But what is the real result here? Most children either learn to play the game, or they stop trying. They forget what they learned after the test. Most quickly decide that learning is boring. Some kids will still thrive, but many just wither away academically. Is there another way? I believe so. I definitely want children to learn information. But that is actually not Sonlight's number one goal. 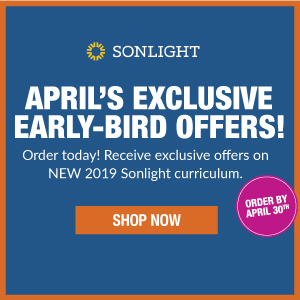 Sonlight's main educational goal is to create a true love of learning. Instead of "force-feeding" children an education, we create an insatiable hunger to learn. We can't possibly give children all the knowledge they need for life by the time they are 18 years old. But we can get them on the right path, where they keep learning their entire lives. With God's help, children can see learning as a delight. They can learn how to find the information they need. They can be ready to pursue whatever God calls them to, because they love to keep growing. It's the difference between forcing a reluctant child to eat a vegetable at each meal, and having a child who simply loves vegetables. Which child do you think will eat more vegetables over a lifetime? I can't help you with the literal vegetables. But I believe I can help you have children who love to learn. 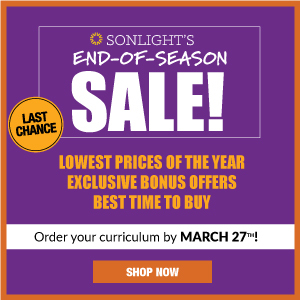 That is why all of Sonlight's curriculum is deliberately designed to keep children engaged in the learning process. 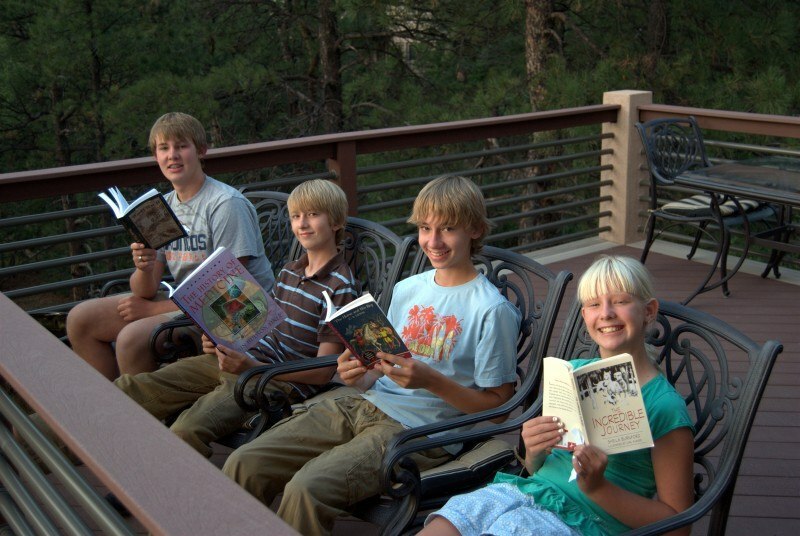 The books we include and the way we weave them together are just that good. 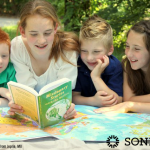 Sonlight mom Kim W says that her children, pictured here, have gained a love of learning through Sonlight. You know what my daughter's first words were this morning? "Mommy, get up. Can we do school now?" 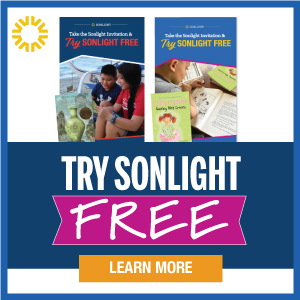 When I received the Sonlight catalog, it was like God came to my mailbox and gave me a present. Every day, even the harder ones, seems like a miracle to me. 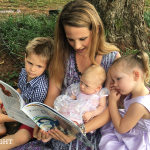 The woman who swore that she would never homeschool LOVES it. Not to mention my KIDS!!! The other day they were watching Reading Rainbow and LeVar Burton asked "Have you ever read a book that was so good that you couldn't put it down?" My son responded loudly, "OHHHH, YES!" Close to the end of the school year, we talked about picking up where we have left off in Core G at the beginning of next school year. There was a gasp from the girls! "Why can't we just keep going? We want to read Bloody Mary! We can't wait 'til the fall!" "Can we finish our math books this summer?" "Can you get our next Teaching Textbooks too, so we don't lose momentum this summer?" "But we haven't done Shakespeare yet!" "Can we keep doing Story of the World? We're almost done with it!" 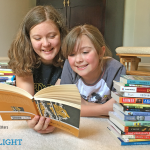 Thank you, Sonlight, for stoking the fire of learning throughout our first year of homeschooling. And thank you for quality literature and products and the Instructor's Guide that led me through the year as well. I wish I had the space to quote two or three dozen more of these kinds of testimonials. We receive a steady stream of them, and they warm my heart. Can you imagine anyone saying these kinds of things about a textbook or workbook-based program? You might hear positive reviews, but I doubt you'll hear anything about a passion to learn. 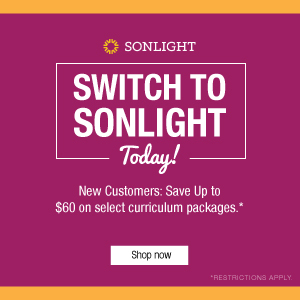 So thank you for choosing Sonlight to come beside you and help your children love to learn. Please let us know if we can help you in your journey.